Republican presidential candidate Mitt Romney caused a media frenzy over the weekend with the announcement of Wisconsin congressman Paul Ryan as his vice presidential running mate. Ryan’s strong brand of conservatism seeps into his views on health care, senior citizens, foreign policy, and the federal budget. Ryan’s conservative track record continues running into the realm of social issues. 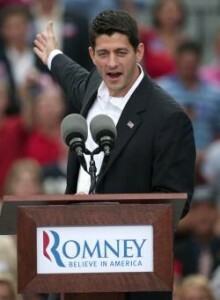 With LGBT rights reaching an all-time high in terms of outreach and visibility, Ryan’s views stand as a stark setback. Both in 2004 and 2006, Ryan voted for the Federal Marriage Amendment — the failed move for putting a nationwide ban on gay marriage. Posted August 17th, 2012 & filed under News, Politics.